“It seems I have been involved in healing all my working life. I started out practising remedial massage and then moved to traditional Chinese medicine – acupuncture and herbs. From there I trained as a psychotherapist and I have continued in this for the last twenty years specialising in trauma and mindfulness based stress reduction. As such I am a UKCP registered psychotherapist, an EMDR registered practitioner and I have completed both stages of the Bangor University Mindfulness Teacher Training retreats. Most recently I have also completed Bangor’s unfolding supervision of mindfulness teaching course. “I started meditating 25 years ago and have found it fundamental for personal growth and well being, it has helped me to live life fully and face difﬁculties with increased open heartedness, and compassion. Over time I have become increasingly interested in integrating my therapeutic work with my meditation practice. Mindfulness and Buddhist psychology has provided me with such a bridge and Jon Kabat-Zinn’s secular approach to mindfulness attracted me because it combines the ancient eastern wisdom with modern western science. I am BACP accredited, and have worked as a therapist since 2000, both privately and employed as a Specialist Drug and Alcohol Counsellor. I specialise in working with people with complex needs and consequently am completing further training in Sensorimotor Psychotherapy, a body orientated psychotherapy for trauma. 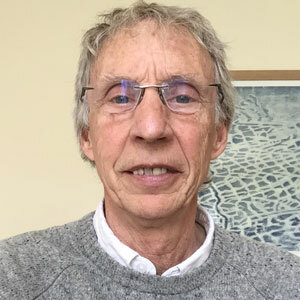 I have completed the John Kabat-Zinn based level 1 and 2 Mindfulness Teacher Training retreats at Bangor University, and have been teaching courses since 2007. This includes a new course I have developed in ‘Mindfulness Based Relapse Prevention for Addiction’”. “Mindfulness brings together my two great passions – psychotherapy and Buddhism. I have been working as a psychotherapist since the mid 1980’s, evolving through psychoanalytic psychotherapy, Jungian analysis and now inhabiting what I call a ‘contemplative perspective’ which draws together what I consider the best of the depth psychologies with Buddhist insights and mindfulness skills. I have also been a Director of Training at the Centre for Transpersonal Psychology and with Elizabeth McCormick have edited/written several books including Nothing To Lose, Psychotherapy, Buddhism and Living Life. Presently, along with participating in the Eight Week Mindfulness Course, I continue writing and lecturing, provide psychotherapy and clinical supervision and also teach health professionals how mindfulness may be integrated into our clinical work. Most recently I have contributed an essay to Crossroads in Psychoanalysis, Buddhism and Mindfulness, edited by Anthony Molino, and have just completed a new book Why Can’t I Meditate? How to get your mindfulness practice on track, published by Piatkus February 2015 and Tarcher in the USA in 2016. “I have been working as a clinical psychologist for nineteen years. From 1995-2001 I worked in NHS mental health services and since that time, until 2014, I worked in the NHS physical health services, speciﬁcally working with people with cancer and helping people to cope with living with the uncertainty of such an illness through using a mindfulness-based therapeutic approach. “I have worked for the NHS for 33 years as a nurse, health visitor and, in the last 10 years, as a parent infant specialist working in the Child and Adolescent Mental Health Service. I have been practising meditation and yoga for over 30 years. During those years my journey has taken me from an emphasis on living/ working/ caring through ‘doing’ and ‘fixing’ to an increased orientation towards being and allowing through the practice of awareness, presence and compassion. I draw primarily on teachings from Buddhism and the Christian Contemplative tradition, and also from the yoga tradition. From an early age the body has been, and remains, the most important vehicle for my learning and a deep source of wisdom.